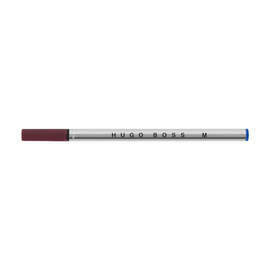 The Hugo Boss Stripe range features chrome-plated brass barrels with finely engraved stripes running along the length of the barrel, giving a balanced and tactile writing experience. The centre ring of the pen is smooth chrome emblazoned with the internationally recognised branding, sitting neatly between two rings standing proud of the torpedo-shaped profile. 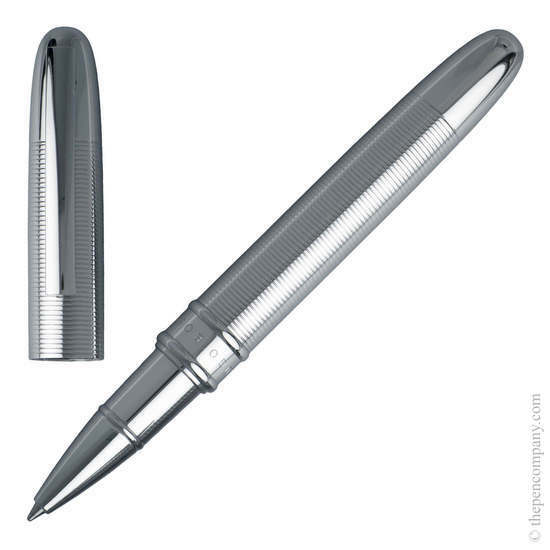 The cap of the rollerball and fountain pen snap shut, whilst the ballpoint uses a twist mechanism to extend and retract the tip.